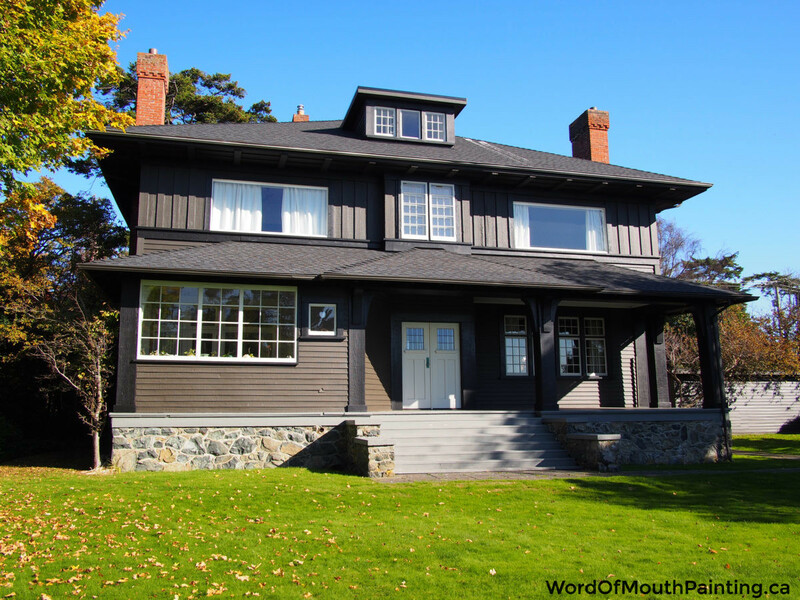 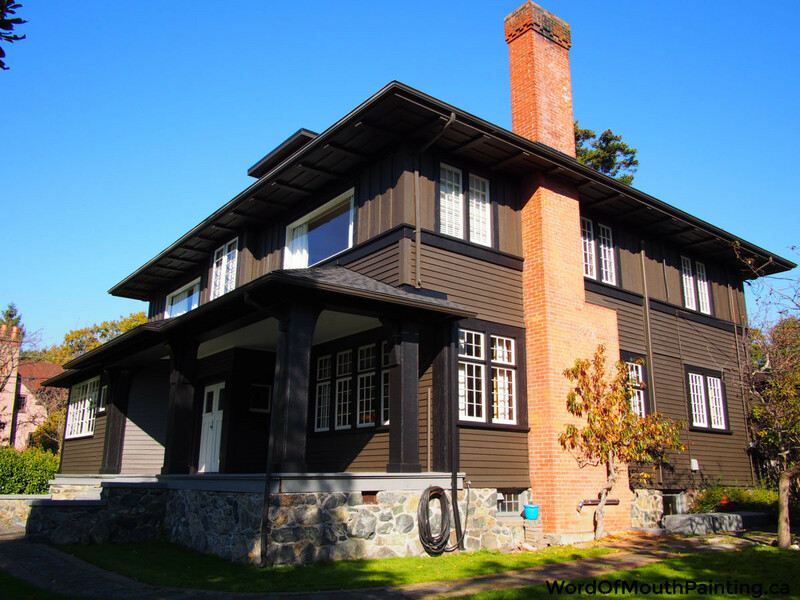 This beautiful heritage home was ready to have its colour palette updated. 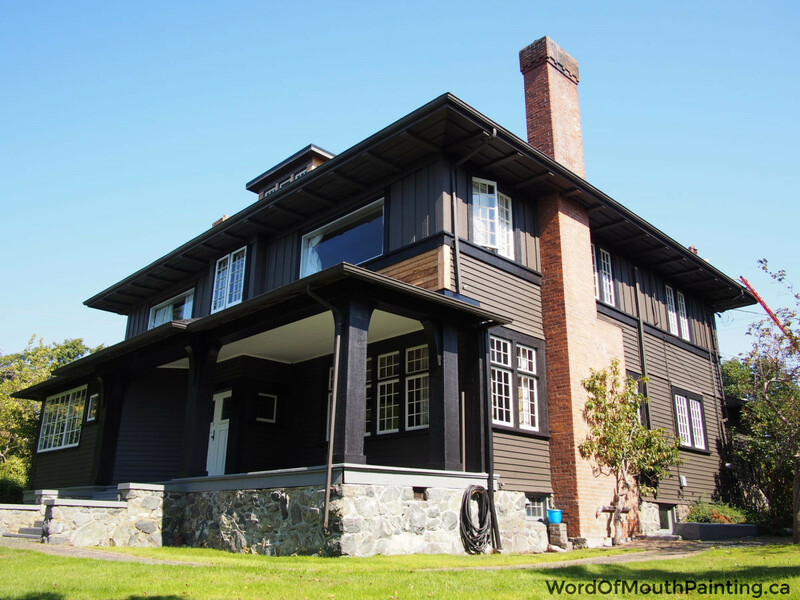 We added Benjamin Moore Onyx Black and Chantilly Lace on the trim. 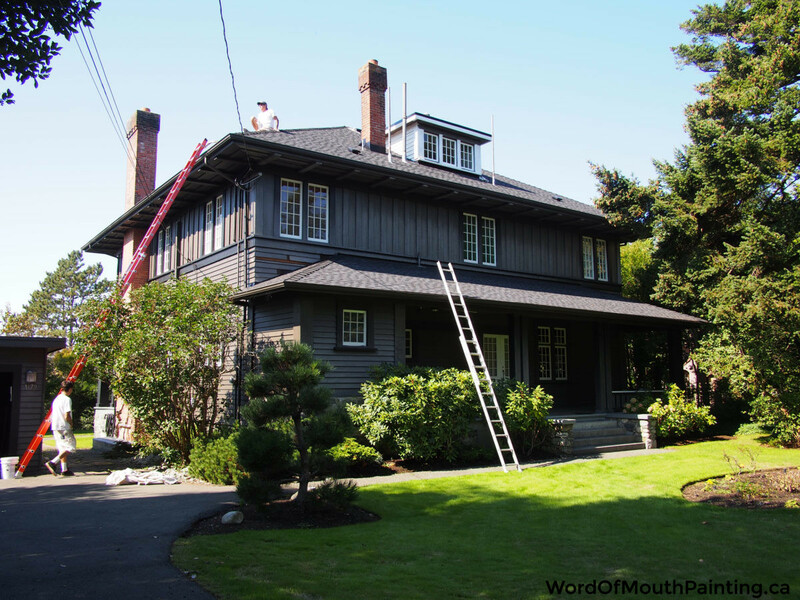 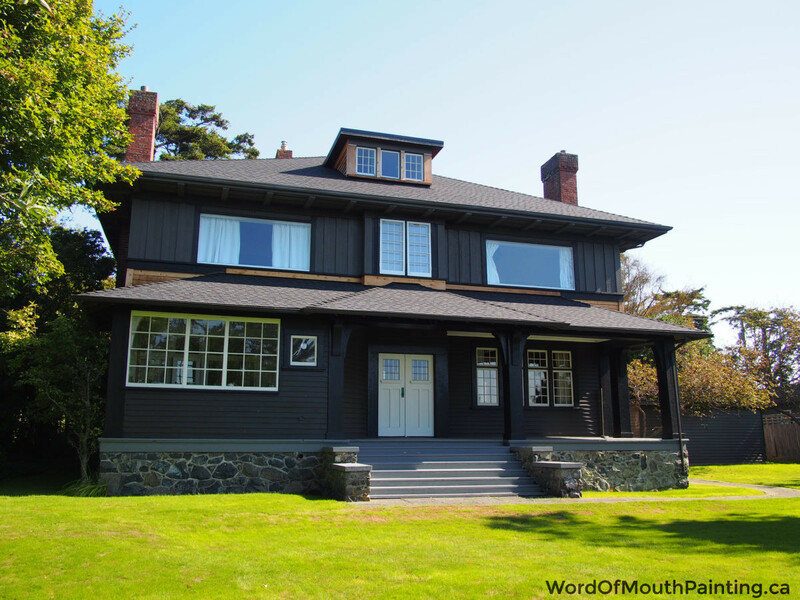 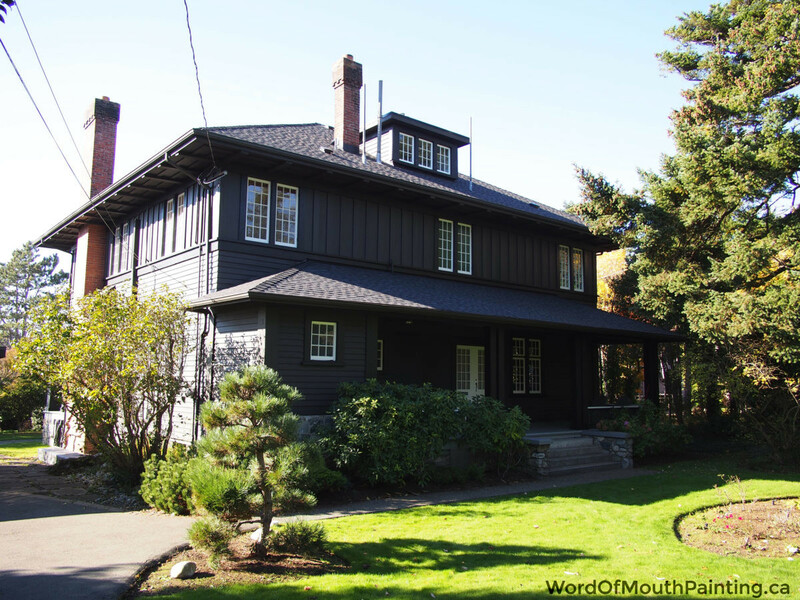 On the siding is a custom darker tint of Benjamin Moore Cafe Doppio.